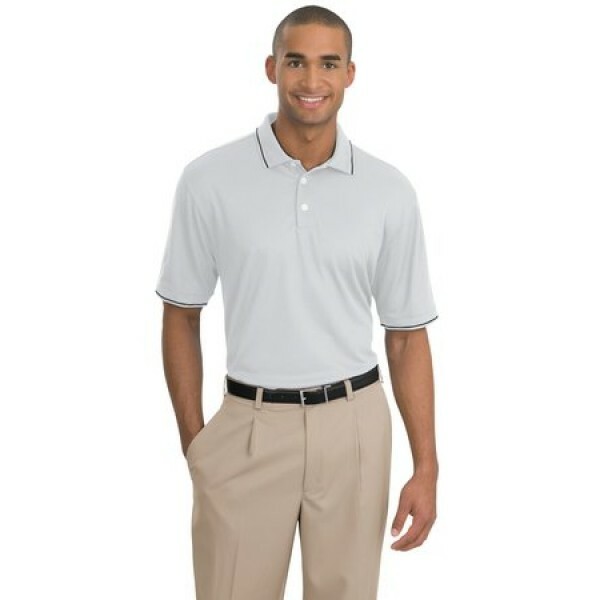 Nike Golf Dri-FIT Classic Tipped Polo for Men is a classically designed golf shirt constructed using the latest Dri-FIT technology that lets you play comfortably and in style without having to worry about moisture and heat. Shoulder panels with stitch trim and gussets give this shirt a distinct styling. The tipped edge on the collar and open hem sleeves add a classic sporty look. 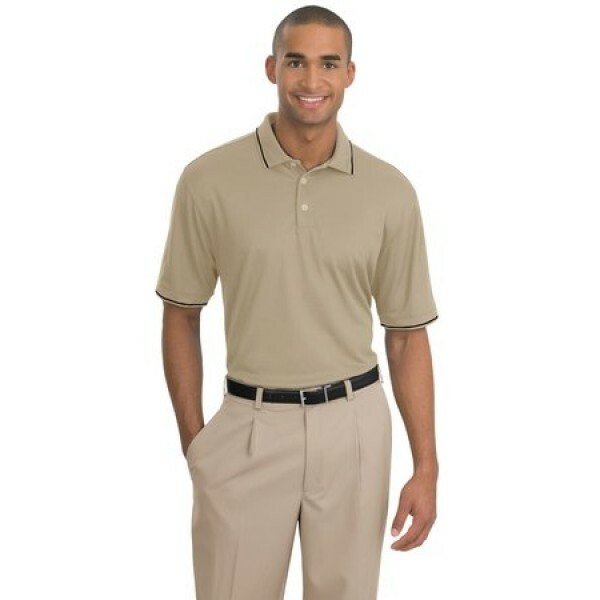 This polo has a ribbed collar, ribbed cuffs and three button closure with matching pearlized buttons. Perform your very best whether at your game or in your business with this classic Nike golf shirt. 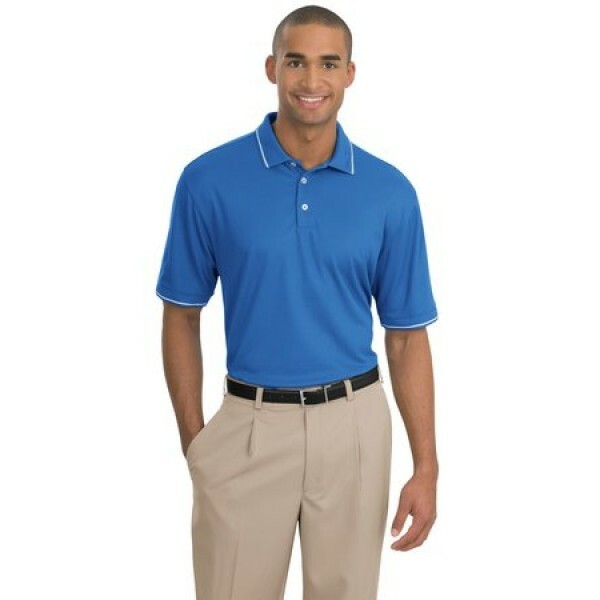 Features: Made from dri-FIT 100% polyester 4. 7 ounce fabric. Ribbed collar and sleeves. Three button closure with pearlized buttons dyed to match. Stripe-tipped edge on the collar and sleeve. Nike trademark embroidered on the left sleeve. Machine washable and wrinkle resistant. Colors: Black, White, Dark Blue, Pacific Blue and Pinenut.